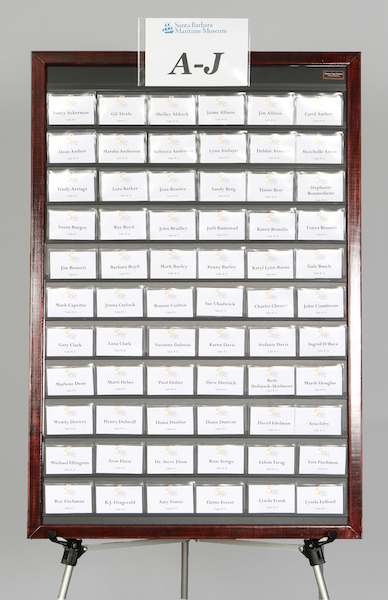 How we came to produce the BEST wedding seating boards and name tag organizer display boards. A few years ago, through the challenge of planning registration and name tagging for over a hundred guests for an upcoming high-profile event, one of our first team members was determine to avoid the usual bottleneck at a registration table. 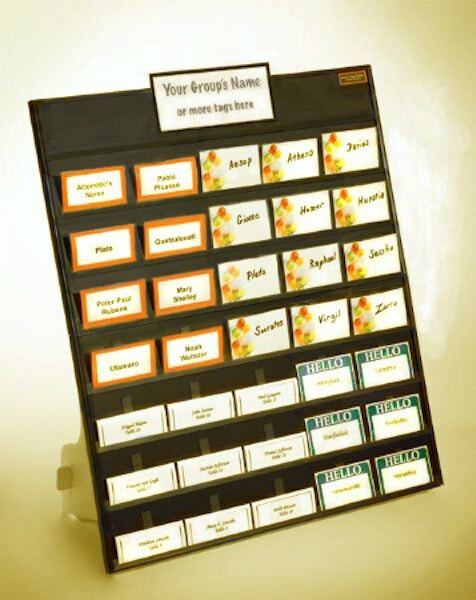 She solved the problem with a prototype of the Name Tag Tamer®. From there, partners Brian and Alan Stenfors helped take it from a simple felt panel to a multi-purpose high tech board that is attractive and easy to transport. Now everyone can glide through event registrations. “Hi I’m Brian Stenfors, a founding partner of Easy Event Hosting with my brother Alan Stenfors. Alan is based in Boston Massachusetts. I’m based here in selling Santa Barbara, California. It’s my pleasure to introduce you to our newly patented Celebration Seating Board (wedding seating boards) which we will be submitting to the Martha Stewart American made competition award. Alan L. Stenfors earned a B.A. degree in industrial design from the Rhode Island School of Design. He has worked in various engineering and design capacities, including product designer, tooling engineer, chief engineer, technical sales engineer, and manufacturer’s representative in the plastic, metal components, custom equipment and design services arena. 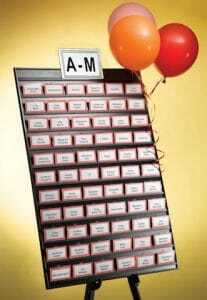 Alan was instrumental in obtaining patents for approximately 30 inventions for the companies he has worked for. 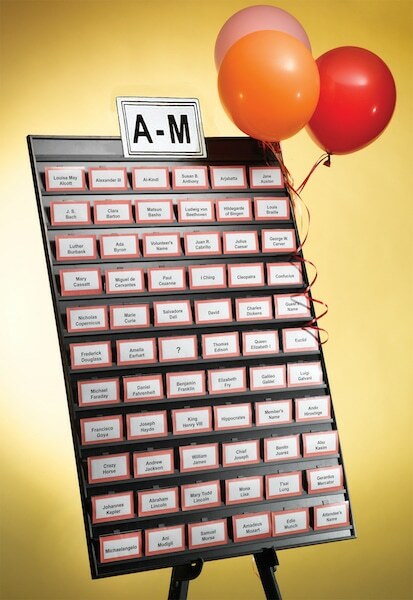 He handles the production details of the Name Tag Tamer® and its ancillary products. Brian D. Stenfors’ career spans over 30 years in the not-for profit sector and he has extensive experience in fund raising, marketing, and communications. In the course of his career he has raised millions of dollars of venture capital from donors for the organizations for which he has worked. Brian is in charge of sales and business management. He recently completed the Women’s Economic Venture’s self-employment Course with honors. Brian received his B.A. degree from Wake Forest College, M.A. from Syracuse University, and Ph.D. from Drew University.